On Wednesday, Sen. Bernie Sanders (I-VT) unveiled his latest Medicare for All bill, which would drastically alter how health care and health insurance are managed in the United States. Although most of the chatter surrounding health care has centered on Sanders’ Medicare for All proposal, he isn’t the only Democrat offering legislation to address the issue. AR/Intel pulled together the major tenets of the other proposals being shopped around by Democrats to highlight the similarities and differences. Sanders offered his first formal Medicare for All bill in 2016, just prior to a primary debate with Hillary Clinton. The proposal was largely panned by candidate Clinton, who contended its $1.38T-per-year price tag would raise taxes on the middle class. When Sanders formally offered Medicare for All legislation in the U.S. Senate in 2017, however, he got 17 cosponsors to sign onto the bill. The plan Sanders offered yesterday shares the fundamentals from his 2017 bill and expands on it in several areas. The bill proposes eliminating private insurers and requiring all consumers to participate in a single, government-run plan. The government plan would cover nearly all health care expenses, including vision and dental, and would not require any premiums, co-pays, or deductibles. Unlike his 2017 bill, his latest proposal also includes coverage for long-term care for the elderly and disabled. Sanders’ bill has drawn criticism for being coy about pay-for details – the bill text itself says little about how the program, estimated to cost $32.6 trillion over 10 years, would be financed. A fact sheet passed out by Sanders staff during his announcement offers several possible solutions, however. The options include a 4-percent income-based tax paid by employees, a 7.5-percent income-based premium paid by employers, and imposing a 70-percent marginal tax rate on income above $10M. Last month, Rep. Pramila Jayapal (D-WA) introduced “The Medicare For All Act Of 2019,” which, until yesterday, was labeled “the most ambitious Medicare-for-all plan yet.” In fact, Sanders’ latest iteration of his bill lifted key additions from Jayapal’s plan, notably the coverage for long-term care. The fundamentals of Jayapal’s bill and Sanders’ remain the same, however. Jayapal’s bill would eliminate private insurers and transfer all health care coverage to the federal government. Like Sanders’ bill, Jayapal does not provide pay-for options but she herself has mentioned a wealth tax or repealing the 2017 tax cuts as a way to fund the program. Depending on the details, these pay-fors would likely not come close to actually covering the costs associated with her bill. The biggest difference between the two proposals appears to be the timeline. While Sanders envisions a 4-year timetable to get to Medicare for All, Jayapal wants to get the country there in two years. More information on Jayapal’s plan can be found here. A Medicare for All-lite bill is being championed by Reps. Rosa DeLauro (D-CT) and Jan Schakowsky (D-IL) as well. Crafted by the liberal think tank Center for American Progress, Medicare For America would enroll the uninsured, along with everyone on Obamacare and Medicaid, in an expanded Medicare plan. Individuals and employers would be able to buy into it if they choose, but the option to continue to offer private insurance would remain (so long as it meets certain federal standards). Unlike the Sanders and Jayapal plans, the health insurance offered by the government in the Medicare for America plan would require participants to pay premiums on a sliding scale based on their income. People with lower incomes would pay no premium at all and out-of-pocket costs would be based on income and capped at $3,500 for an individual ($5,000 for a family). Doctors would be paid Medicare rates with an additional increase provided for primary care doctors and mental health services. The Medicare for America plan appears to be the Democratic alternative to Medicare for All, as it minimizes the “pay for” argument because consumers are purchasing the offer and paying deductibles. Presidential candidate Beto O’Rourke, for example, has said he prefers the DeLauro bill to Medicare for All. Campaigning in Iowa last month, he called Sanders’ (2017) bill a “wonderful way to get to universal health care through a single-payer system.” But he then pivoted to Medicare for America and made his case for it. DeLauro and Schakowsky introduced the bill last Congress to little fanfare and have not reintroduced it this year, but as moods shift on health care within the Democratic party, that will likely change. Earlier this month, Sens. Tim Kaine (D-VA) and Michael Bennet (D-CO) introduced the latest version of their “Medicare-X” plan. Their bill would create a public option for Medicare and allow individuals of any age to purchase plans. The plans would would include access to Medicare’s network of health care providers and ObamaCare’s range of benefits. The bill would allow ObamaCare Tax credits to be used to purchase a Medicare-X plan, and individuals would pay no more than 13 percent of their income toward their insurance premiums on a standard health plan. The proposal was initially part of Obamacare but was cut for being seen, at the time, as too progressive. Kaine and Bennet have defended the legislation as a good balance between alternative options for progressives, who want to expand health care availability but don’t want to eliminate private insurance. 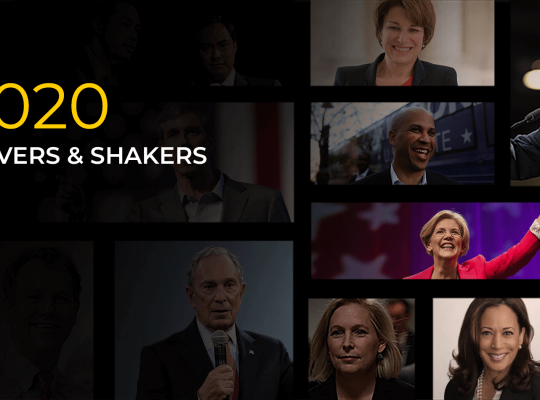 Medicare X is supported by presidential candidates, Sens. Cory Booker (D-NJ) and Kamala Harris (D-CA), who are also co-sponsors of Sanders’ bill. Check out the stories below to dig a little deeper on this and tons of other topics. 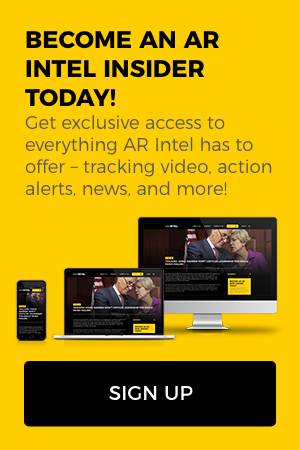 If you’re not an AR Intel Insider already, subscribe today!